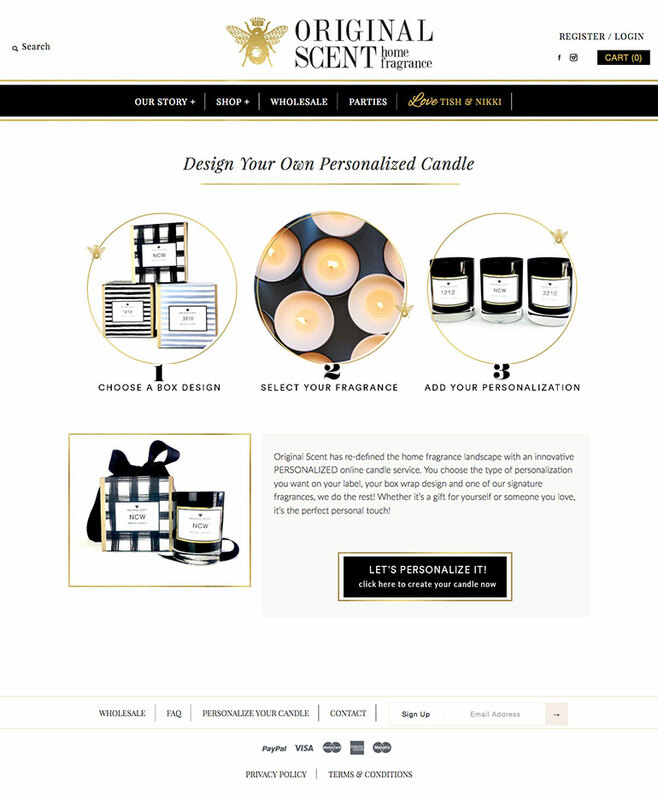 Original Scent has re-defined the home fragrance landscape with an innovative, affordable, chic and easy online Personalized candles services. Whether you are shopping for yourself or someone you love, it’s the perfect personal touch! 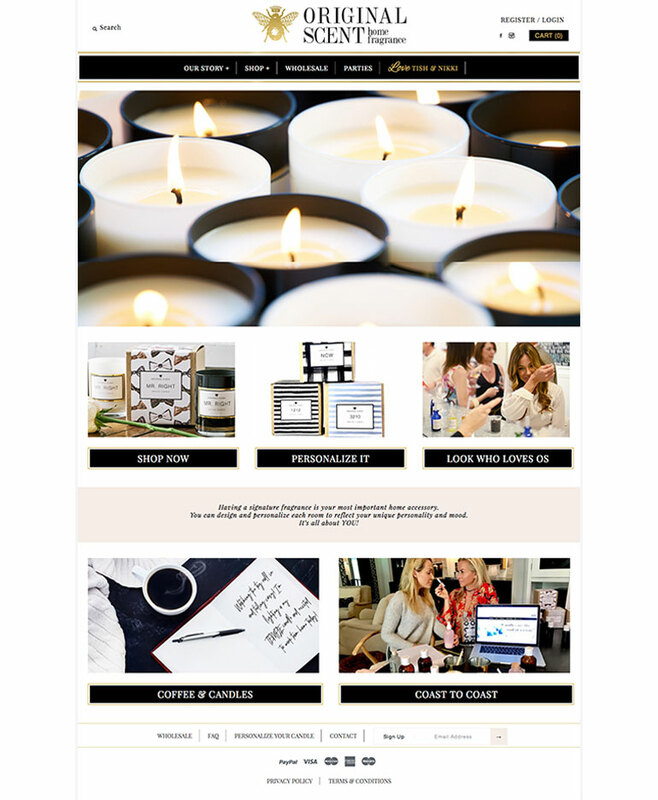 CodeMedia 360 helped Original Scent achieve their goal of having an online business by providing them with a Custom Shopify e-Commerce Solution. 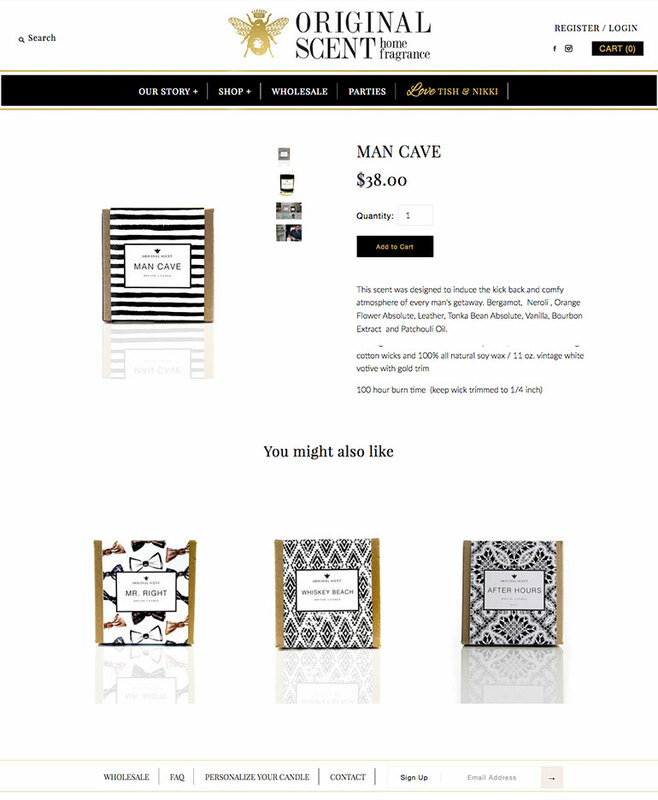 With Shopify’s flexibility in order volume, and it’s easy to use catalog management system, Original Scent received the tools they needed to manage their online business successfully.